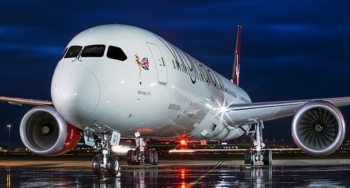 Virgin Atlantic has launched a reward seat sale on selected routes. Full details are on their website here. Ignore the ‘up to 50% off’ headline as only one route is half price – Manchester to Boston. You can book until 19th June. There is also a parallel 30% ‘buy miles’ bonus which runs to the same date and which I will cover on Saturday. These deals run from 1st July to 6th September. All dates during this period are priced at peak level under the Virgin Flying Club redemption chart. Economy redemptions are booked as ‘Economy Classic’ tickets. You can see the difference between Economy Light, Economy Classic and Economy Delight in this HFP article. Check the cash price before you book a mileage ticket because, even with 30% off the miles required, these may still not be good deals on cheaper days. It is worth noting that, whilst Virgin Atlantic has historically had lower taxes and charges in Economy than British Airways, this no longer seems the case. The last date for booking is 19th June. How can you top up your Virgin Flying Club balance quickly? If you are short of miles, remember that Virgin Flying Club miles transfer INSTANTLY at 1:1 from American Express Membership Rewards as long as your accounts are already linked. It may take a couple of days if you have not previously linked your accounts. Transfers from Tesco Clubcard are also very fast, usually overnight – the ‘Clubcard to Virgin’ page is here. 250 Clubcard points are worth 625 Virgin Flying Club miles. Whilst they won’t arrive in time to book this deal on this occasion, remember that you can get between 5,000 and 15,000 Virgin Flying Club miles as a sign-up bonus on the new Virgin Atlantic credit cards. I review the two cards here and here. You cannot do a ‘miles plus money’ redemption for these deals. It has to be a 100% miles booking. Virgin is also offering a 30% bonus on purchased miles. I will take a look at this on Saturday. Full details of the reward flight sale are here. This article doesn’t look finished. Are there likely to be any bonus transfers between Tesco and Virgin coming up? If you think bits are missing you are running a defective Adblocker that removes hyperlinks. You need to whitelist HFP. Booked a redemption to Florida for mid-winter just last night using what will probably be the last of my run.of PE Upgrade vouchers. Saw the VS seat sale email today, had moment of annoyance and then realised FL not included and it’s only until Sept. However for anyone that is actually in a similar situation VS are likely to honour the new price, especially if you booked less than 24 hours ago. As a comparison my peak redemption was £394 + 45k miles, cash price is an astonishing £1800!!! Interesting.. outside of the sale timing, I am looking for a peak rate West coast trip and am struggling to get good redemption value compared to cash prices. For the East Coast seems to be Boston now as well as NY that’s getting caned. Unusually since late last year, offers on all of those almost continuously across all 3 Alliances. Also should give a shout out to the very flexible and helpful Virgin Gold call centre staff, not going into details here, but they went above and beyond with their service, proving to me a good reason to keep diversification from BA. No idea. First I knew was when I did the maths today …. Can premium economy upgrade vouchers stack with this offer? +1 I would like to know the answer to this too! As ever the tax element for economy redemption’s is MORE than the regular cash price of a variety of alternatives for every date i was looking at! Thanks for the advice to “ignore” the up to 50% off offer as this only applies to one flight from Manchester. What an arrogant, London-centric comment. Those of us who live near Manchester probably wouldn’t want to “ignore” an offer on a flight from Manchester. As someone who lives near Manchester I have to say your comment only makes the chip on your shoulder look bigger. It’s one flight out of eight (approx 12% of the total) at a 50% discount. I would discount that too as a headline grabber when everything else is significantly worse. Origin/Destination is irrelevant. let’s shake hands & be mates, hey? To be clear, not saying the flight isnt a good deal if you want to go to Boston (charmless city) but in terms of the headline sale rate it does appear disingenuous. Was in Boston a few weeks ago and had a good time walking around, seeing a Red Sox game and eating multiple lobster rolls. The IC was great. If going into Boston either head north to Bar Harbor or south to Cape Cod. That is not the point I was making and I am guessing you actually know that. Had 2 separate emails last night from BA about a World Traveller 50% off the avios cost redemption sale. No reduction in the money element. Not for Euro Traveller however. Same – one plugging flights from London, the other flights to London. Both uninspiring as ever. Isn’t the Vegas flight from Gatwick? Aren’t they adding a Heathrow flight next year?